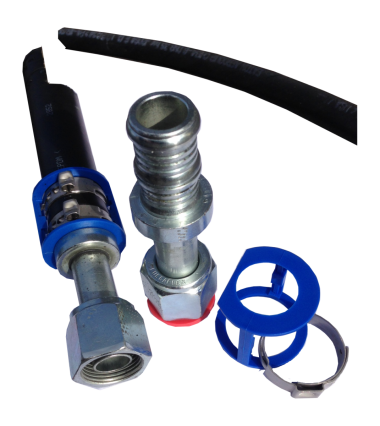 The Burgaclip hose and fittings range is still developing and expanding. From size 6 up to size 16 is now available for the 3090 barrier hose. Burgaflex is proud to say it is still the most reliable clip system in today's market. The target is set to have the full range, up to size 20, available early 2015. With the sizes 16 and 20 the Burgaclip program is a unique product for especially the Bus and Coach market. When Burgaflex releases the size 20 it will be the only clip system for a size 16 and 20 textile braided barrier hose in the market.